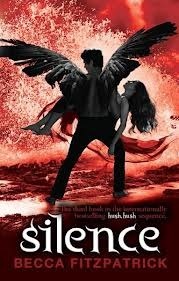 I am currently reading Silence by Becca Fitzpatrick. I am on page 198 of 438 and I am really enjoying it so far! I would love to have this book finished by the end of the weekend, but I working and i have a b'd party to go to so I'm not sure. Have an awesome weekend & happy reading !